There were a total of 23 seismic events associated with fracturing of rock, of which 16 were characterized by low energy level. The remaining, of higher energy level, were located mainly in a zone between 2 and 7 km north of the volcano, at depths between 4 and 9 km with local magnitudes between 0.4 and 1.2 on the Richter scale. 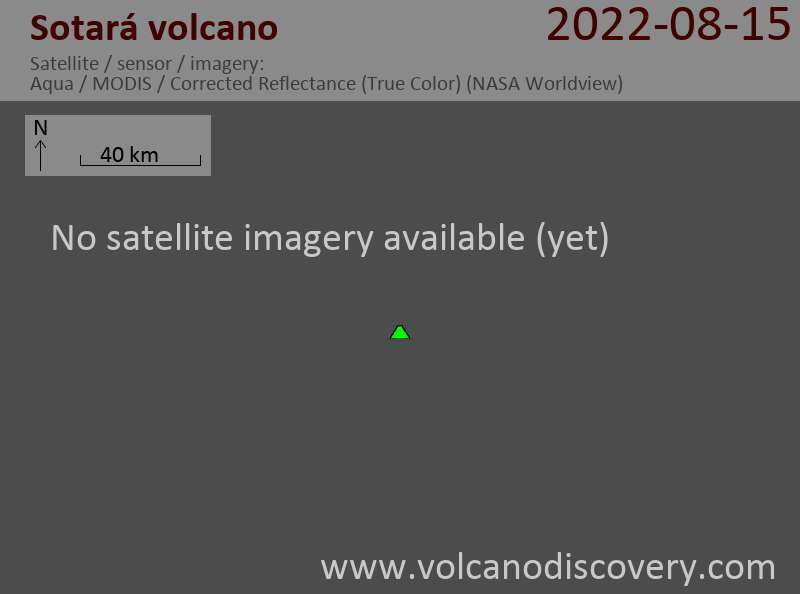 No other significant changes were detected at the volcano. Sotará volcano, also known as Cerro Azafatudo, is a little-known andesitic-dacitic stratovolcano located about 25 km SSE of Popayán city in SW Colombia. The volcano has three overlapping calderas, 4.5, 2.5, and 1 km in diameter, creating the irregular shape of the volcano. It has not erupted in historic times, but is considered active. At present, there is solfataric and fumarolic activity.